SZA felt like she’d ”failed” her fans when she didn’t win one of five possible Grammys. Among the nods was Best Urban Contemporary Album for ‘CTRL’, and though the ‘Supermodel’ hitmaker was initially ”mad” that she came home without any prizes, the 27-year-old singer/songwriter admits her record is ”much bigger” than any accolade. Speaking to the latest issue of GQ magazine, SZA – whose real name is Solána Imani Rowe – admitted: ”You feel like you’re really falling short and you f***ing failed [your fans]. ”This is something much bigger than me and a f***ing trophy. ”I felt a shift. Like, I came a really long-a*s way. ”I didn’t imagine this album doing much anyway. ”I was so grateful to even have been honoured by being nominated and having so many people f*** with my music. 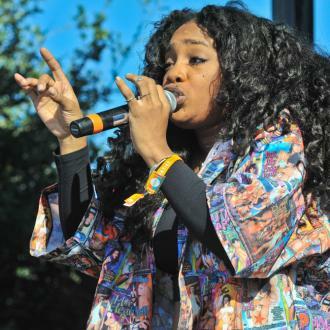 SZA says that she didn’t want to tell the world how ”mad” she was feeling on social media. She explained: ”I just didn’t know how to take it. I didn’t say anything, I didn’t post [online] because I’ve never had to deal with anything I really believed in wholeheartedly, or invested in, and went through something that publicly before. ”I wanted to be honest as f**k, and if today I’m just mad as hell, I don’t want to say something that reflects me being mad as hell. Ultimately, the ‘Love Galore’ hitmaker says that it’s more important for her music to connect with people than win a Grammy. She concluded: ”I didn’t make my album with the Grammys in mind, and I’m definitely not gonna make my second one with the Grammys in mind.